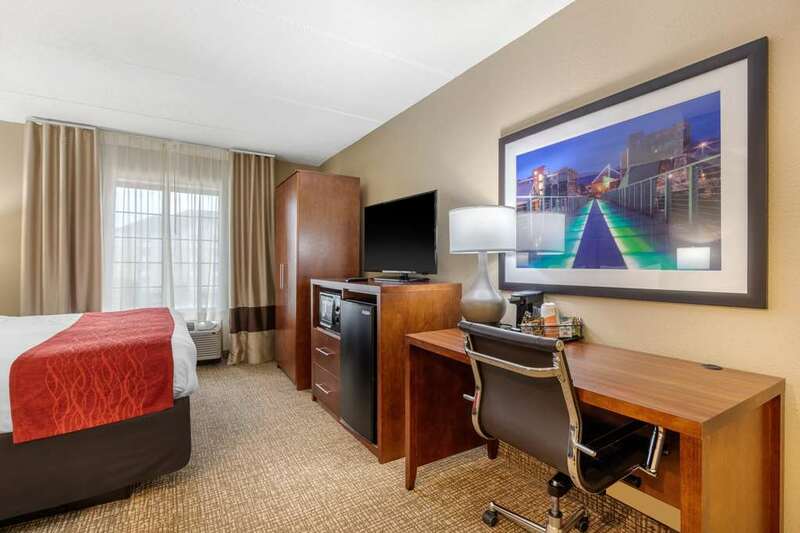 Behind every great day is a great night at the Comfort Inn and Suites Hamilton Place hotel in Chattanooga, TN near Hamilton Place Mall and Lake Winnepesaukah Amusement Park. Nearby destinations include Tennessee Aquarium, Creative Discovery Museum, Tennessee Valley Railroad, Chattanooga Metropolitan Airport, and University of Tennessee at Chattanooga. We are also close to Enterprise South Business Park and Camp Jordan Park and Arena. Enjoy amenities like free hot breakfast, free WiFi, seasonal outdoor pool, bus and truck parking, valet cleaning services and access to copy and fax services. Also, earn rewards including free nights and gift cards with our Choice Privileges Rewards program.